In 2010 the coalition government’s Strategic Defence and Security Review hit the headlines for all the wrong reasons. Major defence projects such as the NIMROD aircraft were abandoned at huge cost while others were controversially continued because they were too expensive to scrap. 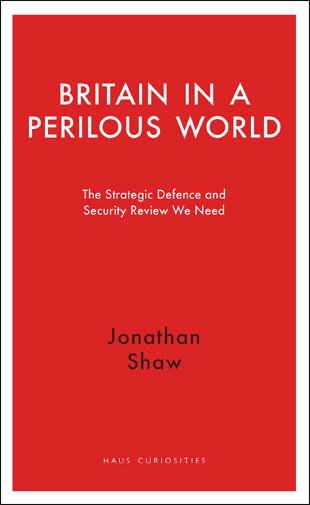 In advance of the next Strategic Defence and Security Review scheduled for 2015, Major General Jonathan Shaw argues persuasively for the need to rethink the way Whitehall devises strategy and reaches decisions. Taking the imprecise use of language as his starting point, Shaw challenges the assumptions that underlie Whitehall practice. Based on extensive personal experience of working in Whitehall and applying strategy in the field, Shaw provides a piercing insight into how government really works. In this powerfully argued piece, he suggests how the Review can be improved and why the credibility of our political class depends on getting it right. Jonathan Shaw read Politics and Philosophy at Oxford before joining the Parachute Regiment, in which he served for 32 years. He commanded operations at every rank up to Major General before retiring in 2012. From 2000-12 he worked directly in, or for, Whitehall.